Price: 650,000 vnd / person. Time / Departure from: from 8:30 to 13:00 / Pick up from your hotel. 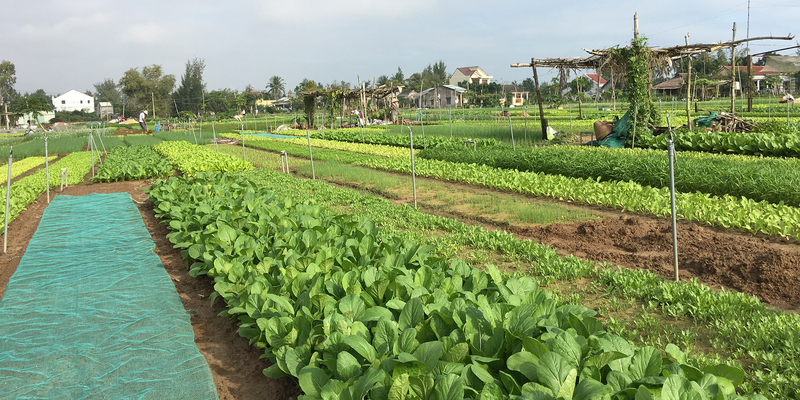 Summary: Cam Thanh village is about 7 hecta ,5km from the old town. During the time of American-Vietnam war this was the shelter for local people and soldiers and nowadays this place is a famous destination for tourist. 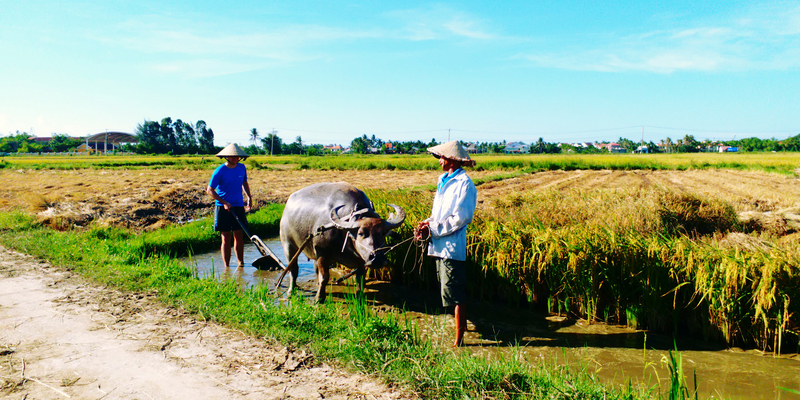 It is providing the most seafood products, fresh vegetable and also rice for this area and the whole Hoi An. 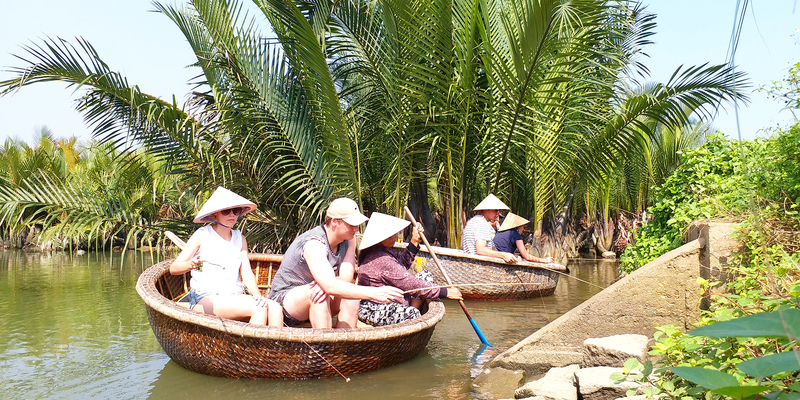 Joining this tour you will have a good chance to meet lots of local villagers, learn some traditional fishing techniques like how to paddle the unique Vietnamese bamboo basket boats while exploring the now tranquil coconut-palm flanked waterways of a past war. 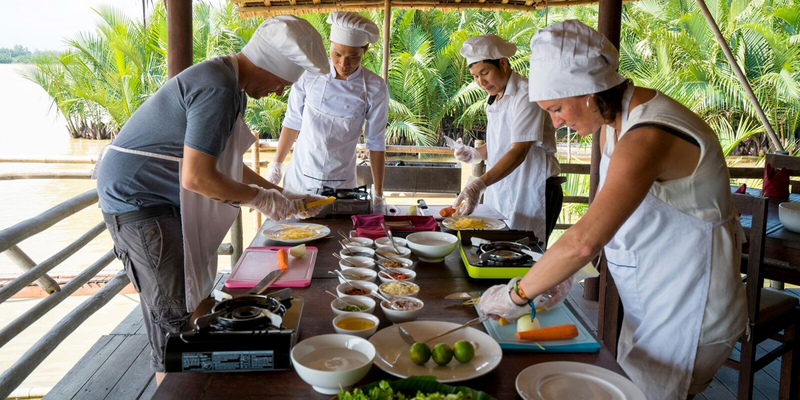 On this tour, we provide an authentic social and cultural insight into the Vietnamese local way of life. 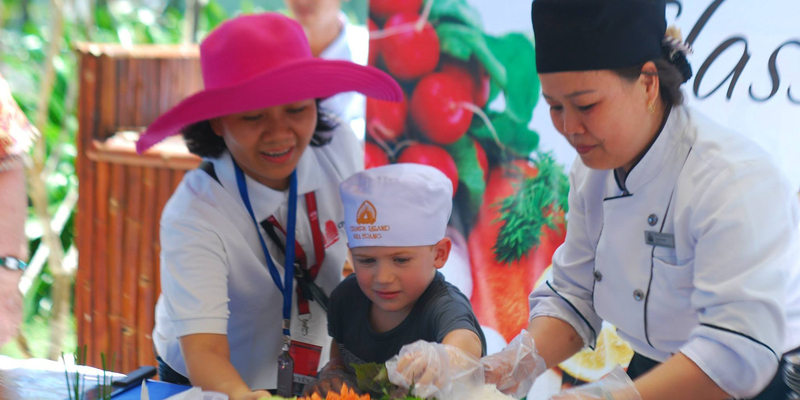 As well you will take part in some hands-on activities that are fun,safe and interesting to people of all ages. 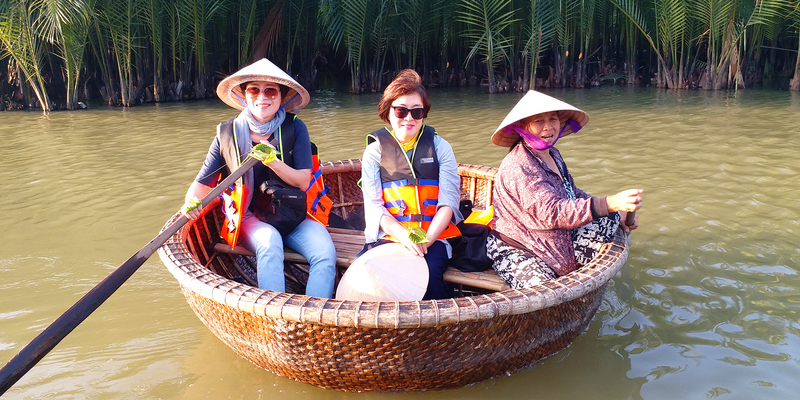 Tour Guide pick you up at hotel then cycle to Cam Thanh fishing Village. Stop at a market named Ba Le, a beautiful local market in Hoi An where the local fishermen & farmers cell their products catching from Cua Dai River the night before. 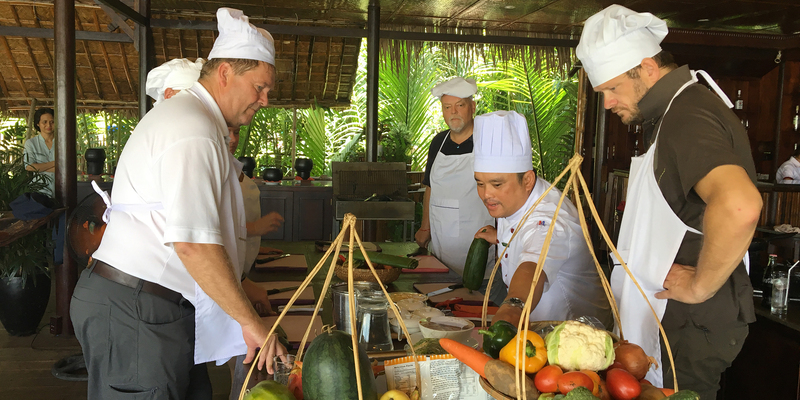 Here we will purchase ingredients which will be used in the cooking demonstration later. On the way we will stop at nice & ancient cemetary, temples, houses built with water coco nut leaves and bamboo. 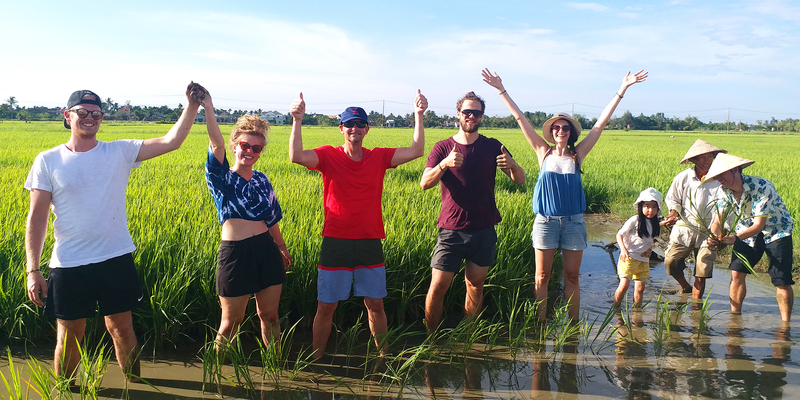 Explore many beautiful view of Vietnam countryside, meet local people, getting to know more the hard works and livelihood of the villagers. 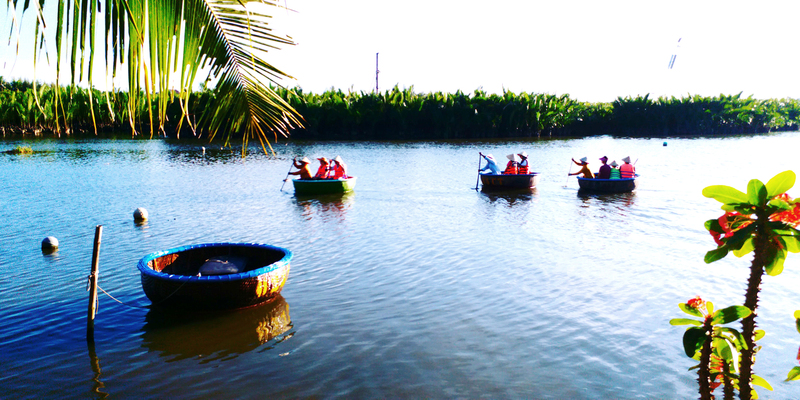 Proceed on adventure, roal the Bamboo Basket boat inside of the water coco palm forest by the small and beautiful channels. pick up the water coconut fruit. Explore the Vietnamese ways of fishing technique by special net. get to know more about the history of this heroic village. 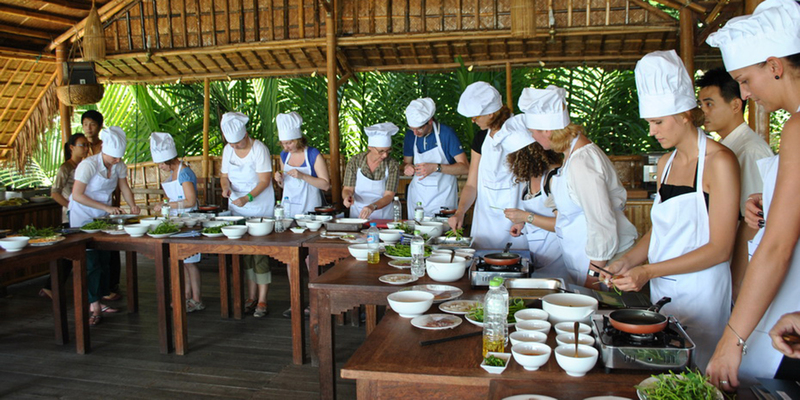 Back to the local home ( Mr Cu’ home) to take part in cooking class course with Hoi An village local chef (Mr Cu’s wife). Enjoy lunch with all the food we cook. Tour ends tour guide will return you back to hotel. 2. 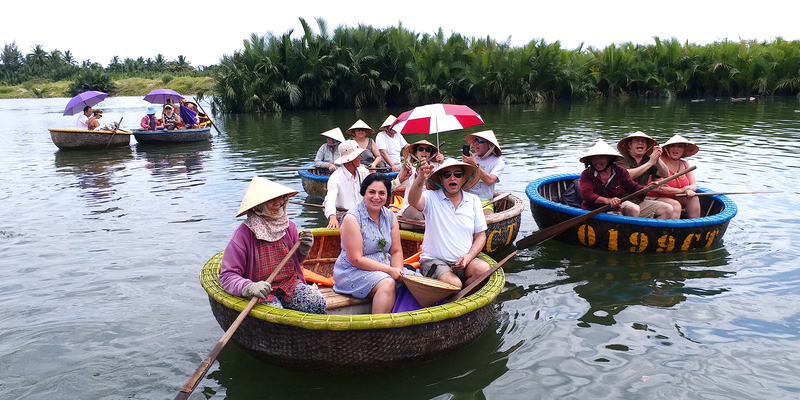 Hoi An spring role. 3. Hoi An Rice Pancake (Banh Xeo). 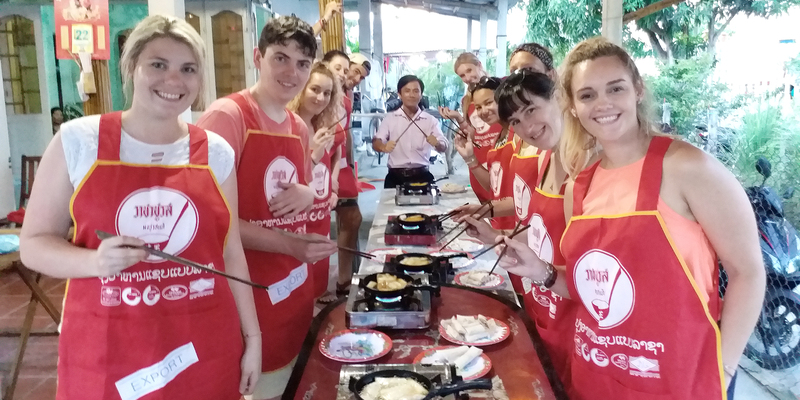 Hoi An traditional lunch or dinner ( afternoon tour). Pick up & drop off at hotel. Morning tour: from 8:30 am to 1:00 pm. Afternoon tour: from 2:00 pm to 6:30 pm. 10. My Son holyland Tour. © 2018 Copyright by Hoi An Village Experience. 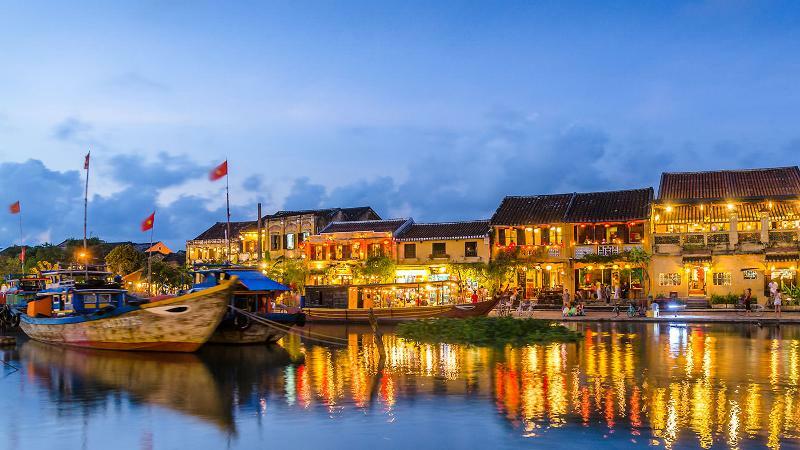 HOI AN VILLAGE EXPERIENCE is responsible to the law of Vietnam for the entire contents of the website. Design by Hoi An Connect Group.